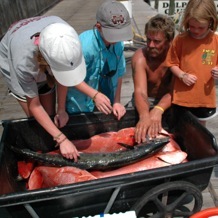 Alabama has some really great private charters available for you and your party. Private charters offer fishermen the privacy of having the whole boat to themselves. The only people on the charter boat other than you and your party will be the captain and the deckhand. 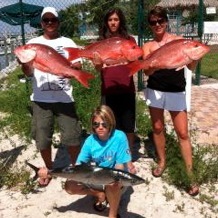 Private fishing charters are great for those who know what they want. They are also great because you are in charge of the trip. If you decide that you want to stop and watch a dolphin, the captain will do what you wish. If you would like to troll for a while, the captain will do it. As you can see, private charters are about what customers want. You are in control. 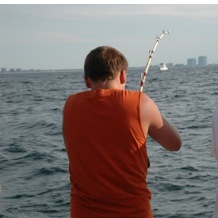 Depending on the length of your private fishing charter, you might choose to bottom fish or troll. Some people do both. Either way, we will put you on the right boat. Just let us know how many people are in your party and tell us when you want to fish and how many hours you want. We will do the rest.